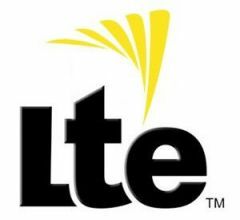 Today, Sprint announced in four separate Press Releases that they have brought 4G LTE Service to the Chicagoland area, as well as Wichita Falls Texas, Hutchinson and McPherson Kansas, New Bedford and Fall River, Massachusetts. It is probably no accident that Sprint selected to use the phrase "Sprint brings 4G LTE" in lieu of "launched." Don't misunderstand though that this is good news. LTE service in these newly announced areas has actually been active for awhile (in some places several months). Sprint only announced the outer suburbs of Chicago as being live, but actually Sprint LTE service is live over 80% of the metro area. However, the more urban sites in Chicago need to have service bolstered up even greater before Sprint sticks their neck out and claim the service is live. Even in non launched areas of the Chicago market, LTE service is still usable where sites have been completed. Chicago Sprint LTE Coverage Map. This is the LTE coverage map showing in Chicago as of today. Coverages shown are a little generous with their modeling. This map would indicate coverage is nearly total, but we think it's more like 80%, using a very liberal estimate. In both Hutchinson and McPherson, Kansas, each of those cities now has two LTE sites operable. For McPherson, that covers most of the area, only leaving one more site to upgrade. In Hutchinson, they have two of five sites broadcasting LTE, which covers most of the city pretty well. Service will get even better when full LTE density is achieved. Over in Wichita Falls, Texas, Sprint LTE is usable from three sites out of sixteen. So site density is very thin at this point. Sprint overly optimistically shows very good coverage on their maps saturating the entire Wichita Falls area. Service should be decent when near these three sites, otherwise you will likely only be able to get coverage outside. LTE performance will drastically improve as more and more coverage is added in the next few months. In Southeast Massachusetts, Sprint LTE is also live around Fall River and New Bedford. The first New Bedford LTE site went online about five weeks ago, and the service has been growing since. Currently both New Bedford and Fall River have three LTE sites a piece working. Which is about one third of the total sites in the area. So coverage is OK now, but will get even better over the next few months. On another note, our members discovered the new coverages show up Friday night on the Sprint website and figured out Sprint would be making these announcements on Monday. Clever group we have here at S4GRU. Who's going to be the first carrier to claim the most "streets" or "houses" covered? ATT claims covers more cities and towns than VZ. VZ claims to cover the most markets...Sprint hasn't fallen prey really other than to make claims about service in markets that aren't really complete. Maybe NewSprint will make aclaim eventually that they cover "more driveways" than anyone else! That coverage map is misleading to say the very least. Definitely. We would like Sprint to post accurate LTE coverage maps. They are way too generous showing coverage, even outdoors holding your phone above your head. I have nothing nice to say today about this. Keep us posted Robert. Hopefully that buy out does us some good. 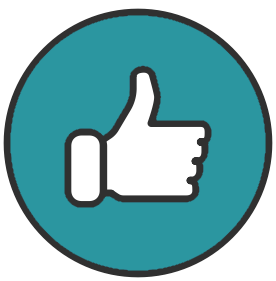 Your doing great work. Coverage map - Lies. I am all over the Chicago & NW suburbs. I am using Galaxy SII (yes last years Galaxy) & Evo Shift & this map is far from accurate. Maybe the Note II will provide better reception since its got better bandwidth coverage than both my phones now. but its getting harder and harder to defend sprint when they post stuff like this and I get bombarded with response mails about how they live where they should be covered and it no workie. Sad sad state of affairs here in Chicago. I have nothing nice to say today about this. Keep us posted Robert. Hopefully that buy out does us some good. Your doing great work. Coverage map - Lies. I am all over the Chicago & NW suburbs. I am using Galaxy SII (yes last years Galaxy) & Evo Shift & this map is far from accurate.Maybe the Note II will provide better reception since its got better bandwidth coverage than both my phones now. but its getting harder and harder to defend sprint when they post stuff like this and I get bombarded with response mails about how they live where they should be covered and it no workie.Sad sad state of affairs here in Chicago. According to the FCC OET on the Samsung Note 2, all the bands should be pretty equal (or better) to the GS3 in radio performance (based on ERP), except LTE, which may be slightly less powerful. Who's going to be the first carrier to claim the most "streets" or "houses" covered?ATT claims covers more cities and towns than VZ. VZ claims to cover the most markets...Sprint hasn't fallen prey really other than to make claims about service in markets that aren't really complete.Maybe NewSprint will make aclaim eventually that they cover "more driveways" than anyone else! A Sprint rep was at my house today counting the blades of grass on my lawn. He wouldn't say why but told me to expect some exciting new announcements about their lte coverage soon. At least they're not actively blocking lte sites anymore. Perhaps I'm missing something, but how does this coverage map pertain to your phones? Neither of them are capable of LTE. LTE or otherwise. LTE towers will be supporting not just LTE but both spectrum's of service. So, yes it does pertain to my devices.Since they removed all the Nextel towers, their non LTE towers are fewer and fewer. The towers will cover LTE & Non LTE Devices. 4g Support on these two devices has increased since the LTE towers went up however it is far from what this map shows as being covered. I live and work in Aurora IL and I've gotten nothing so far on my GS3. I took a drive to Lisle yesterday on my lunch break and still didn't get any LTE on my phone. The coverage map above clearly does not reflect the current reality. If the route you took includes purple, then you were in LTE coverage. Sometimes to get it to connect to LTE the first time, you have to cycle through airplane mode. This will cause your device to force scan for LTE. Also make sure you are in CDMA/LTE mode. If this still does not work when you are in the purple areas (especially the darker purple areas), then there is a problem with your device. Thanks for the tip Robert, I didn't even realize there was a setting to for CDMA or CDMA/LTE mode. I was in CDMA mode. I just switched and rebooted. Now at my office I'm getting the 4G icon now. Speeds are only 3.5Mbps down and 1.5Mbps up from my desk. We'll see when I head out for lunch what I get outside. Coverage is Coverage.LTE or otherwise. No, you are way off. Nothing in this announcement nor deployment affects WiMAX coverage. Feel free to ask questions, but please refrain from making woefully inaccurate assertions. Take a look at this map on the Sensorly website: http://sensorly.com/...aurora,illinoisIf the route you took includes purple, then you were in LTE coverage. Coverage is Coverage.LTE or otherwise. LTE towers will be supporting not just LTE but both spectrum's of service. So, yes it does pertain to my devices.Since they removed all the Nextel towers, their non LTE towers are fewer and fewer. The towers will cover LTE & Non LTE Devices. 4g Support on these two devices has increased since the LTE towers went up however it is far from what this map shows as being covered. LTE coverage is not the same as WiMax. It is not even close, not only is the signal different, but WiMax is located in many cases on completely different towers than LTE. Sprints towers are not supporting "both spectrum's of service" as you say. They are only broadcasting 3G and LTE. These maps show LTE coverage. WiMax coverage has not, and will not change until it is turned off sometime in or after 2015. Clear is no longer deploying WiMax cells, so what you have is what you get. Your phones utilize Clearwire's WiMax signal for 4G. They are not capable of using Sprint's LTE signal. In order to use the improved LTE coverage, you will need a different phone. So I just got back from my lunch break, drove around a pretty good area of Aurora and the coverage is definitely better by the expressway. The downtown area of Aurora had no LTE at all. When I was near I88 I was able to achieve 15Mbps downloads and 5Mbps uploads. I'll test it tonight from home on the southern end of Aurora. They are not capable of using Sprint's LTE signal. In order to use the improved LTE coverage, you will need a different phone. As i have seen from the site Robert provided. I stand corrected. No LTE Support at my office its a block away. Go Fig, will have great coverage at home. as I said. I stand corrected. I apologize for the inaccuracy of my statement. I live in zip code 60487, according to sprint's coverage map it's pretty much 100% covered LTE. If you type in that zip code, there is no LTE connection at all from 80th Ave to 94th Ave, and 171st St to 159th (route 6) (forms a huge square of no coverage). 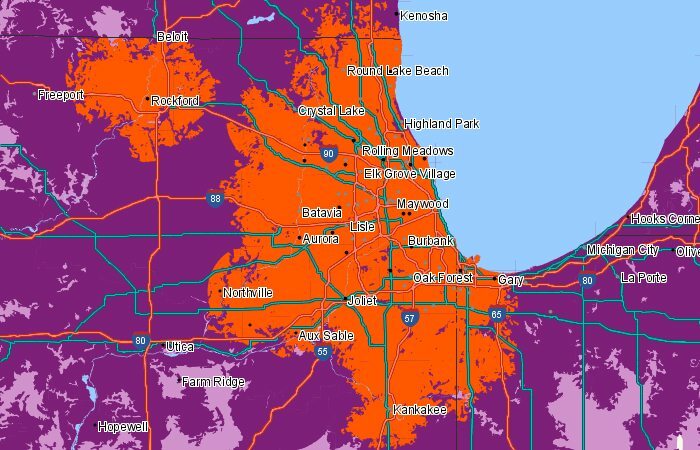 I get coverage outside that block, where sensorly shows purple, but that's a very misleading coverage map on sprint's website. You won't get any argument from us, either. What you say is true. Looks like I've got coverage at home now too on the southeast area of Aurora. Parked in my driveway I maxed out at 21Mbps down and 8Mbps up, Inside the house I can pretty consistantly pull 8 - 15 Mbps. I'm happy, hope the coverage improves for the rest of you. I installed the Sensorly app on my GS3 so I can help map out the coverage in my area, some of my routes are already showing on their maps. Looks like I have a new lunch time activity, driving around exploring the 4G goodness. I noticed 4g LTE for the first time on my EVO LTE about a month ago when working around the Bensonville area. Speeds were around 10Mbps. I've been noticing more and more coverage from week to week. I've gotten service in Shaumburg, Mt. Prospect, Arlington Hts, Niles, Morton Grove, Downers Grove and Des Plaines. I've been averaging well above 10Mbps overall with lowest speeds in Des Plaines/3Mbps and by far the best coverage in Mt. Prospect/Arlington Hts area where I average around 20Mbps but have gone all the way to 34Mbps. I currently live next to Ohare in Park Ridge but am in the process of moving to a house in Des Plaines. Unfortunatly I have yet to receive LTE signals at any of the locations and am happy when 3g speeds go over 300kbps. Robert, do u have any info on when the Ohare area will finish their upgrade? Robert, do u have any info on when the Ohare area will finish their upgrade? I will be able to contribute more next week when my LTE Device actually arrives, but according to Sensorly we have pretty good coverage in our areas. Have you tried the suggested solution of setting the phone into airplane mode?